Ready to experience some of the oldest Bourbon barrels in Kentucky? Our 18-Year-Old Bourbon is bottled solely from the contents of one barrel, not the mingling of many. This expression of Bourbon-making craftsmanship is bold and robust. Truly a Bourbon for the avid collector, this bottle has won countless awards and is regularly listed as a top choice by those who appreciate its smooth yet complex flavor. 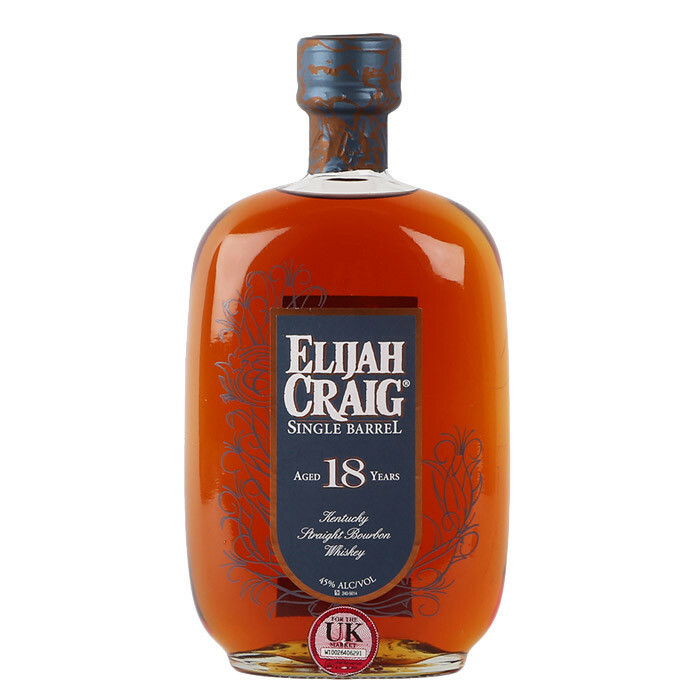 There’s nothing wrong with keeping things neat, especially when it comes to Elijah Craig 18-Year-Old Single Barrel. This one needs no additions. Nose: Aged oak, spiced vanilla, with notes of mint and chocolate. Palate: Richly textured, nutty, and semisweet. Initial bursts of honey give way to toasted wood and pleasant char. Finish: Lively and engaging, then lingers with vanilla and pepper.